Imagine, you come in to your office in the morning and the lights are out. In the night someone has come in and thrown hundreds of used syringes around. You are allowed to enter with a flashlight, and before you begin work you must find, collect and dispose of all of the needles. 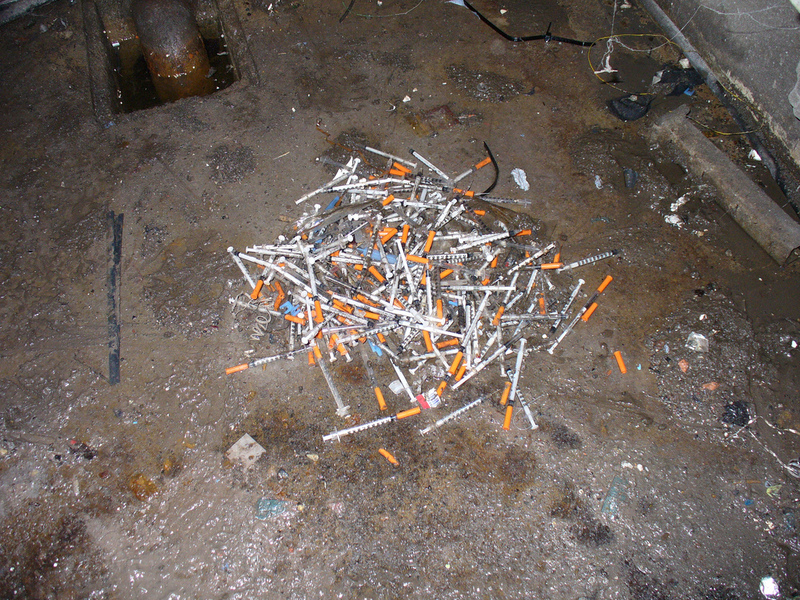 There are 287 used syringes in this photo of a manhole. Of the 287 needles found in this manhole, an estimated 86 will be contaminated with Hepatitis B, 28 with Hepatitis C and at least 1 will be infected with HIV. Can you spot them?